SAN JOSE, California (Reuters) - Apple has vastly exaggerated the importance of its patented iPhone features, a Samsung attorney said on Tuesday as the two companies delivered closing arguments to jurors after a month-long trial over mobile technology. Apple, however, argued that the South Korean company could not have competed in the smartphone market without unfairly copying its flagship product. The two tech leaders also sparred over how Google's work on the software used in Samsung phones affects Apple's patent claims. Apple Inc and Samsung Electronics Co Ltd have been litigating around the world for three years. Jurors awarded the iPhone maker about $930 million after a 2012 trial in San Jose, California, but Apple failed to persuade U.S. District Judge Lucy Koh to issue a permanent injunction against the sale of Samsung phones. The current case involves five Apple patents that were not in the 2012 trial and which cover iPhone features like slide to unlock and search technology. Apple is again seeking to ban sales of several Samsung phones, including the Galaxy S III, as well as roughly $2 billion in damages. Samsung also claims Apple violated two patents on streaming video. 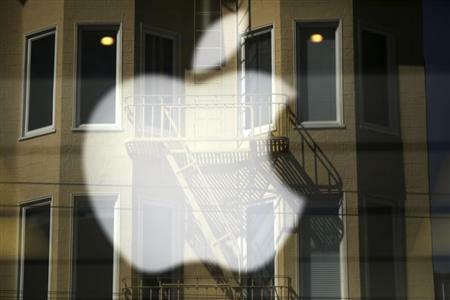 It is seeking to ban the iPhone 5, and asserted a $6 million damages claim. In court on Tuesday, Samsung attorney William Price said some of Apple's patented technology in the case was never even incorporated into the iPhone. That undermines Cupertino, California-based Apple's claim for billions in damages. Another Samsung attorney, John Quinn, suggested that Apple devised its $2 billion request to artificially inflate the value of the technology in the case and confuse the jury. "They'll be dancing in the streets in Cupertino if you give them 100 million," Quinn said. But Apple attorney Harold McElhinny said Samsung's copying of Apple technology has greatly harmed the iPhone maker and turned the smartphone market into a two horse race. "Unlike in fairly tales, we know that Samsung's illegal strategy has been wildly successful," McElhinny said. Additionally, Apple attorney William Lee said Samsung's low damages request on its own patents was meant to cheapen intellectual property in general. Samsung paid its expert witnesses about $5 million in fees in order to seek $6 million in damages, Lee said. "Does that make sense?" Lee said. "Only in one circumstance: if you're trying to devalue patents, all patents." Samsung's phones run on the Android mobile operating system developed by Google Inc. Google is not a defendant in the case, but during the trial Samsung pointed out that some of the features Apple claims to own were actually invented by Google. Samsung called a handful of Google executives to testify on its behalf. McElhinny said the fact that Google developed Android is irrelevant to Apple's ability to collect damages from Samsung. Google agreed to reimburse Samsung for some of those costs, he said. "At the end of the day Google will not be an issue for you," McElhinny said. However, Samsung's Quinn said Apple sued Samsung because the iPhone maker did not want to fight Google, another iconic Silicon Valley company, "in our backyard." The jury began deliberating on Tuesday and a verdict could be reached at any time. If either company proves patent infringement, they could then ask Koh to order a sales ban. The case in U.S. District Court, Northern District of California is Apple Inc vs. Samsung Electronics Co Ltd, 12-630.